Apple sold nearly 9.9 million iPads in the third quarter of 2016. Most of their iPads are purchased by consumers, but a growing number of healthcare companies are driving demand. There are many reasons healthcare providers are becoming more reliant on iPads. Over the next few years, these tablets are likely to revolutionize healthcare in surprising ways. The healthcare industry has often been reluctant to embrace new technology. Healthcare organizations are finally recognizing the need to take advantage of mobile technology. Why are more healthcare professionals using iPads? Here are some of the main benefits. Experts estimate the average patient spends about a third of their office visit checking in with the receptionist. iPads can significantly reduce this window, which frees up both the patients and the clinician. Doctors are having more trouble connecting with their patients than ever. Part of the reason is that customers have lower attention spans. The average person’s attention span has dropped from 12 seconds to 8 seconds since 2000, which researchers attribute to digital technology. Healthcare providers have found that iPads are remarkably effective for engaging with patients. A study from Mayo Clinic found that seniors in healthcare settings had a 98% engagement rate while working with healthcare providers using iPads. They can show information to their patients on iPads, which is a more interactive way to communicate. Patients can also share information with their physician, as long as it can be done in compliance with HIPAA. A patient’s treatment program doesn’t end at the doctor’s office. The patient must be responsible for their own treatment at home. CEO of Clarinda (Iowa) Regional Health Center, told Modern Healthcare that home healthcare is becoming even more important to contain rising medical costs. for patients undergoing physical therapy or taking prescriptions with serious side effects. It’s often difficult for patients to take care of themselves without guidance from their physician. They have often had difficulty using computers to reach out to their doctors, because they required an Internet connection and were more expensive. iPads make it easier for patients to engage with their doctors from home. According to HealthIT, poorly maintained records are one of the biggest causes of medical error. They conducted a national poll and found that 63% of healthare providers reported fewer medical errors by relying on electronic records. Healthcare providers have often inaccurately recorded information, because they had to take in a lot of information as quickly as possible. They often forget to record something the patient tells them or write it incorrectly. iPads make record keeping much easier. They can use apps such as Track My Medical Records and Capzule PHR to streamline medical record keeping. Since healthcare providers using them can record information much more efficiently, they are less prone to make mistakes. 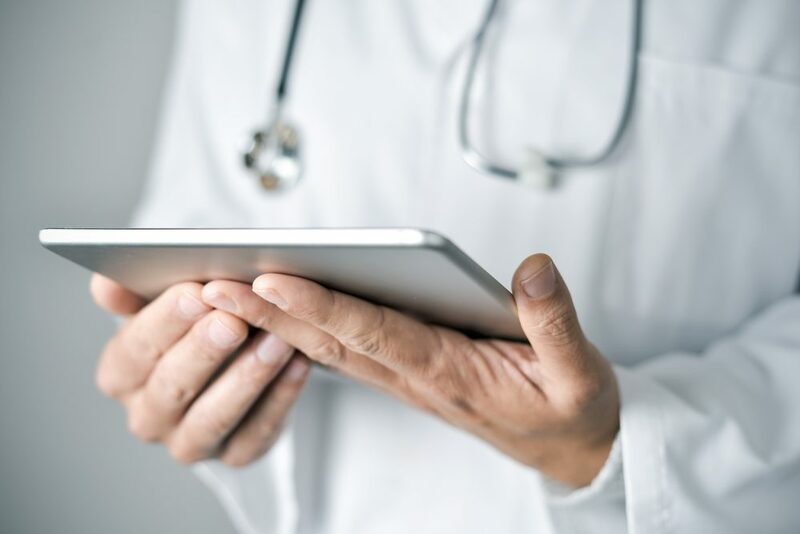 David Engelhardt, a healthcare IT professional and the founder of ReadyDock Inc., states that iPads have drastically reduced the time patients need to wait to have prescriptions filled. While iPads are helping medical professionals in numerous ways, they also create some new complications. One challenge is ensuring data is stored in a way that complies with HIPAA. Healthcare providers also need to protect their devices and keep them clean, which means they need FlipPad cases that can withstand harsh chemicals. The best of these ipad cases have antimicrobial glass, which can be used with surgical gloves.